On the 16th December 2017, JJ and Elanie got engaged! 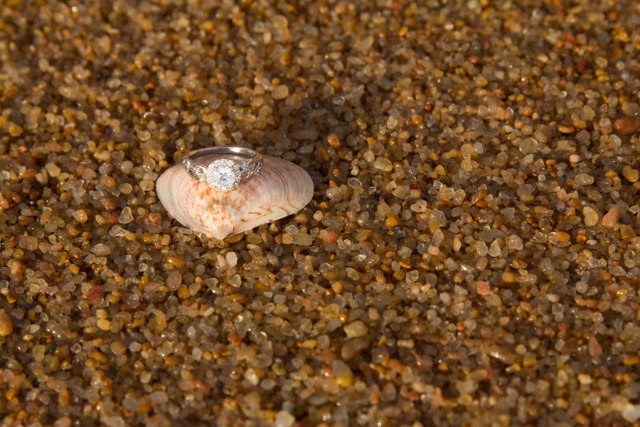 JJ contacted us about proposing to his girlfriend whilst she was away on holiday with her family at the coast. 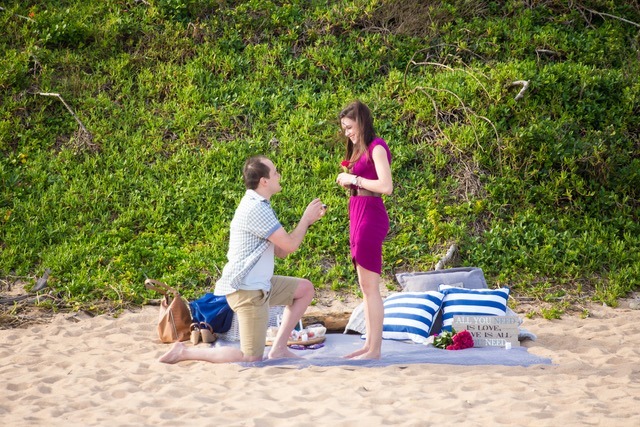 JJ wanted to surprise her by flying down and proposing with a beach picnic at sunset. 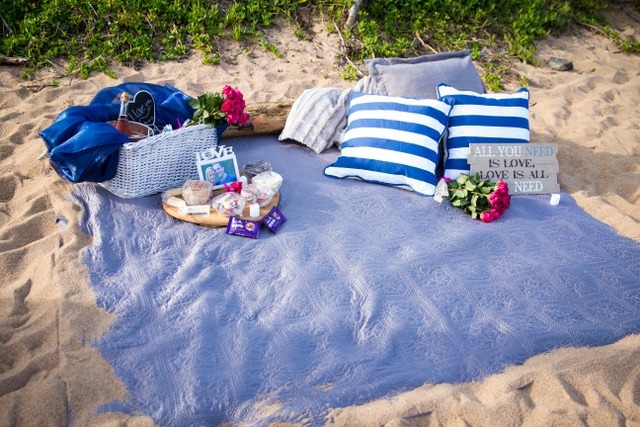 We just loved this thoughtful and oh so romantic idea and jumped on board to create the perfect setting. 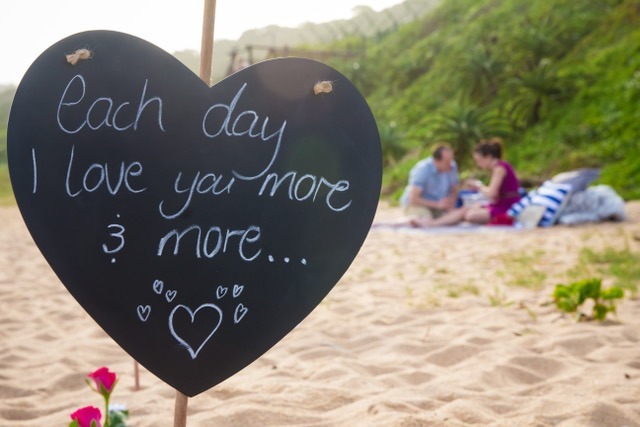 A secluded spot on the lovely Zimbali beach proved the perfect spot and we used pink roses, Elanie’s favourite colour, candles and personalized quotes to create a lead up to the picnic. JJ arrived at the beach earlier and eagerly waited for Elanie to arrive. Her parents were going to bring her to the beach using the excuse that they were going for an afternoon walk, little did she know what wonderful surprise lay in store for her. We just love it when the family is in on the big secret and are able to witness such a special occasion. On Elanie’s arrival, JJ got down on one knee and proposed to the love of his life. The Talented Kimone from Kimone Moodley Photography was hiding away to capture this very special moment. JJ and Elanie’s photographs are a true reflection of their love and adoration for one another and the afternoon light just added to the overall magic. JJ and Elanie then headed off to a pre-booked dinner to celebrate with family, a wonderful way to end off the evening and we just love it when all of the extra details are thought of. Wishing JJ and Elanie a lifetime of happiness and may you forever dance off into the sunset together;) JJ and Elanie Beach Picnic Proposal was perfect!